Barry Zirkin of the Bloomberg School of Public Health; Kit Hansell Bowen and Sarah Woodson of the Krieger School of Arts and Sciences; Andrew Feinberg and Min Li of the School of Medicine; and Paula Pitha-Rowe of the Kimmel Cancer Center are among 539 new fellows from around the world. Election as an AAAS fellow honors scientifically or socially distinguished efforts to advance science or its applications. The names of the awardees will be published in the “AAAS News and Notes” section of Science on December 23. The newly elected fellows will be awarded a certificate and a rosette pin during the AAAS Fellows Forum at the 2012 AAAS annual meeting to be held on February 18 in Vancouver, British Columbia. 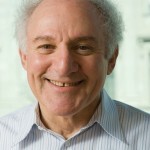 As part of the section on biological sciences, Barry Zirkin, a professor in the Department of Biochemistry and Molecular Biology at the Bloomberg School of Public Health, was recognized for his studies of the molecular regulation of Leydig cell aging, and the hormonal regulation of spermatogenesis. With regard to aging, Zirkin has investigated the role of oxidative stress resulting from increased production of reactive oxygen and decreases in cellular antioxidant defenses in the reduced testosterone formation that characterizes aging Leydig cells. In his studies of spermatogenesis, he has investigated the role of testosterone in maintaining and restoring spermatogenesis. 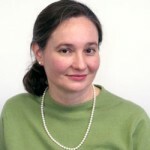 Zirkin is the principal investigator of a NICHD-funded Specialized Cooperative Center in Reproduction and Infertility Research at Johns Hopkins University. 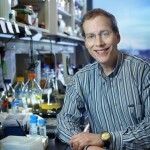 He also is a recipient of a prestigious Merit Award from the National Institutes on Aging, and has garnered several awards for his teaching and research accomplishments in the past. Zirkin earned his bachelor of arts in biology from the State University of New York, Binghamton, in 1963 and his Ph.D. in cell biology from the University of Rochester in 1969. He was a post-doctoral fellow in cell biology at the University of California, Davis, from 1969 to 1971. As part of the section on chemistry, Kit Hansell Bowen, the E. Emmet Reid Professor in the Department of Chemistry at the Krieger School of Arts and Sciences, was recognized for seminal contributions to the study of gas-phase cluster anions by utilizing the negative ion photoelectron (photodetachment) spectroscopic technique. Bowen’s research focuses on clusters and nanoparticles. Clusters are aggregates of atoms and/or molecules held together by some of the same interatomic or intermolecular forces, which are responsible for cohesion in solids and liquids. Clusters are thus finite-size microcosms of the condensed phase, the realm in which most chemistry occurs. A major objective of Bowen’s research is to provide a molecule’s eye view of many-body, condensed phase interactions. The study of size-specific and composition-specific clusters provides an incisive means of addressing this fundamental and longstanding problem in physical chemistry. He earned his B.S. degree in chemistry at University of Mississippi in 1970 and his Ph.D. at Harvard University in 1978. Bowen has served on the faculty of the Krieger School of Arts and Sciences at Johns Hopkins since 1980. He is a fellow of the American Physical Society and the recipient of a Senior Humboldt Research Award. He was named Maryland Chemist of the Year in 2005 by the American Chemical Society Maryland Section. Woodson earned her B.S. degree from Kalamazoo College in 1982 and her Ph.D. in 1987 from Yale University. In the section on biological sciences, Andrew P. Feinberg was elected for seminal contributions to our understanding of epigenetics and the role it plays in cancer and other human disease. He is the King Fahd Professor of Medicine, Molecular Biology and Genetics and Oncology, and Director of the Center for Epigenetics in the Institute for Basic Biomedical Sciences at the Johns Hopkins University School of Medicine. A pioneer in epigenetics, a field that encompasses the study of non-DNA sequence–related heredity, Feinberg studies how such information is maintained by cells through cell divisions and generations. In 2004, Feinberg founded the IBBS Center for Epigenetics to study the role of epigenetics in cancer and in aging and common disease. his master’s of public health degree in 1981, all from The Johns Hopkins University. In 1983, he became an assistant professor of oncology and medicine at Hopkins. In 1986, he moved to the University of Michigan Medical School as an assistant professor of internal medicine and a Howard Hughes Medical Institute assistant investigator. In 1989, he became an associate professor with tenure and an HHMI associate investigator at Michigan, but returned to Johns Hopkins in 1994. He has authored more than 150 research articles and sits on the editorial boards of several academic journals. 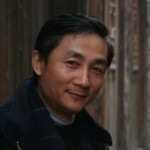 As part of the section on biological sciences, Min Li, professor of neuroscience and co-director of the High Throughput Biology Center in the Institute for Basic Biomedical Sciences at the Johns Hopkins School of Medicine, was recognized for distinguished contributions both in research to the field of ion channel physiology and in teaching to train graduate students in the United States and China. Also director of the Johns Hopkins Ion Channel Center, Li’s research focuses on the ion channel—proteins that allow small, charged molecules in and out of cells–physiology and pharmacology. His work has contributed to the fundamental understanding of how brain cells communicate through tiny but complex electrical signals. Currently, Li is identifying and developing chemical probes to investigate and manipulate electrical signaling in brain and other systems. These chemical probes and technologies will lead to the development of therapeutics to treat brain and heart diseases. Li received his Ph.D. in molecular biology and genetics from The Johns Hopkins University, and carried out his postdoctoral training in neuroscience at the University of California, San Francisco. After working at Affymax Research Institute he returned Baltimore to join the Johns Hopkins faculty. He has been author or inventor of more than 70 research articles and 12 patents on ion channels, for which he has received a number of scientific awards. He has co-founded biotech companies and served on advisory boards to companies and government agencies including NIH, NSF and DOE. Biology and Genetics, and Biology was recognized for her work as a basic scientist in the Johns Hopkins Kimmel Cancer Center and Department of Biology. Her work is focused on the molecular mechanisms of natural immune responses to infection and the role of antiviral responses in HIV and Kaposi’s sarcoma as well as other cancers. Her research has revealed a crucial role by a family of genes called IRF involving antiviral responses and inflammation, which appears to be involved in the initiation of cancer. Using genetically modified mice that are missing a critical component of the immune response, she has developed mouse models to further study IRF mechanisms. This work is leading to clinical advances in vaccines and drug modulation of viral infections associated with cancer. Pitha-Rowe received her doctoral degree in 1964 from the Czech Academy of Sciences in Prague, Czech Republic. Her training included fellowships at the National Research Council in Canada, Curie Institute in Paris, and the Salk Institute. 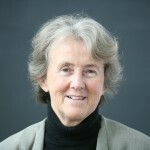 She joined the Johns Hopkins faculty in 1971. Among her many honors, Pitha-Rowe was the 2005 recipient of the G. J. Mendel Honorary Medal for Merit in Biological Sciences.